The Perfect Treat for ALL your little friends. Every Treat is a Toothbrush. 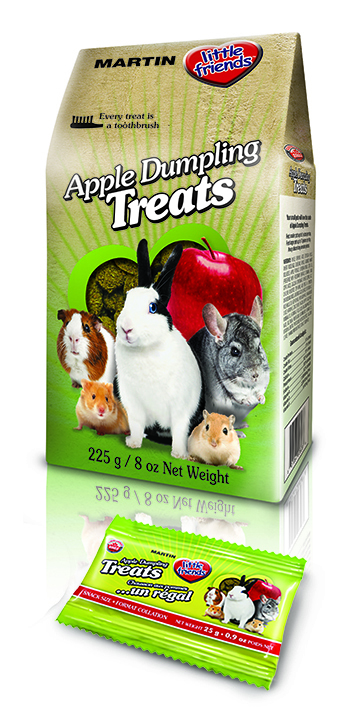 Your small pets will love the taste of Martin little friends™ Apple Dumpling Treats. Feed smaller pets up to 5 pieces per day. Feed larger pets up to 10 pieces per day. Always discard any uneaten pieces. Copyright 2018 Martin Mills Inc, all rights reserved.